In 2008 Aya and I hiked to the summit of Akadake (2,899m) one of the more famous mountains in Japan. 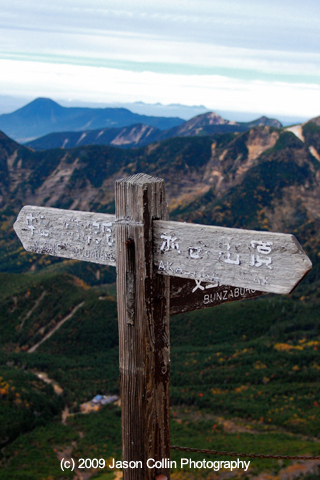 This Monday's featured free iPhone wallpaper is of the crossroads signs pointing toward Akadake and the surrounding mountains. It was a great point for ridge hiking. If you use this wallpaper please let me know in the comments below.